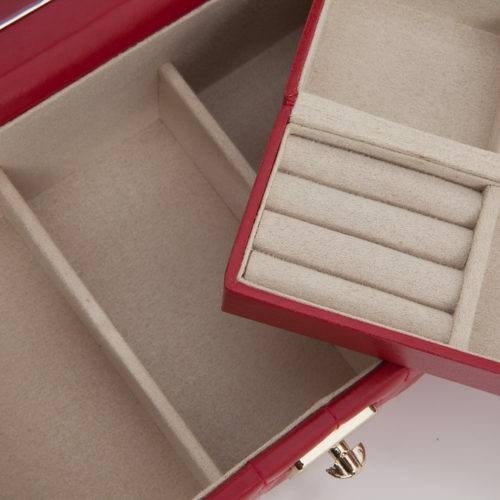 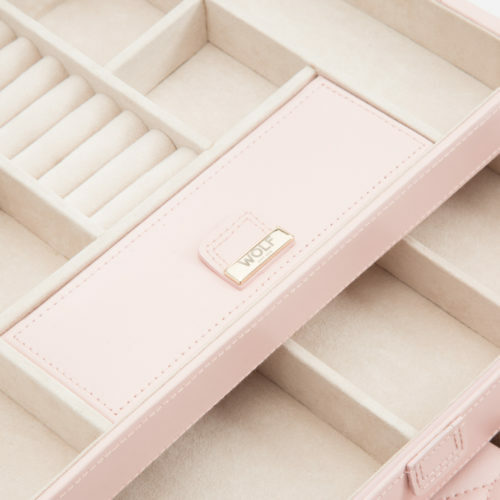 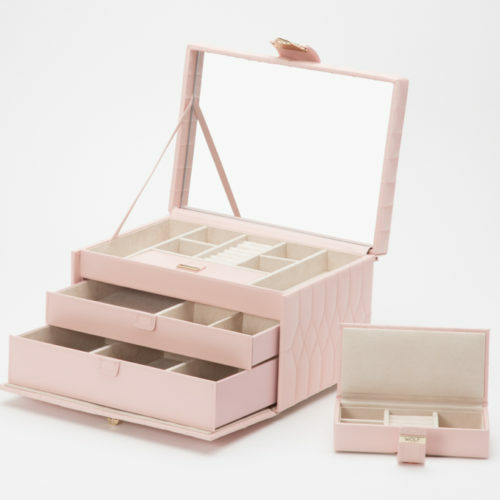 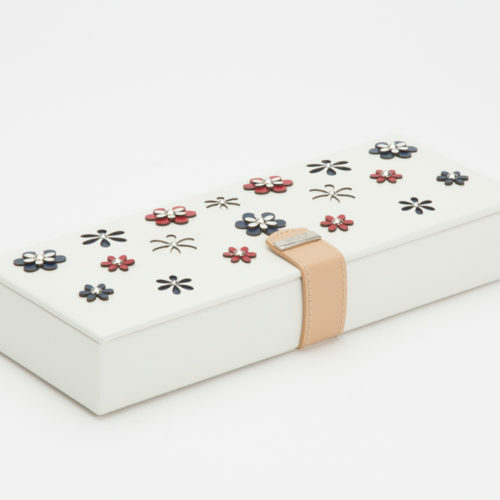 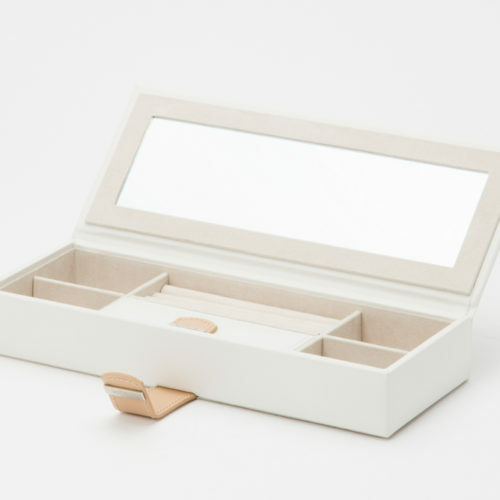 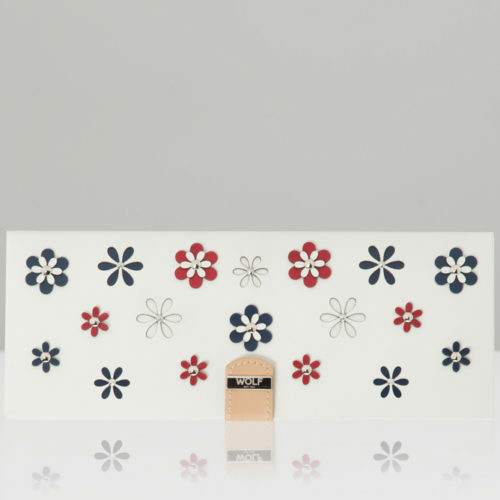 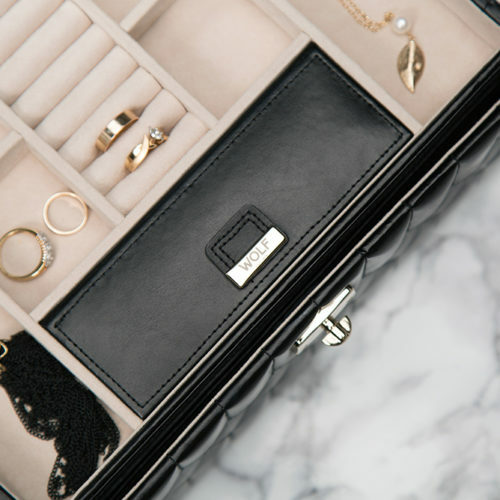 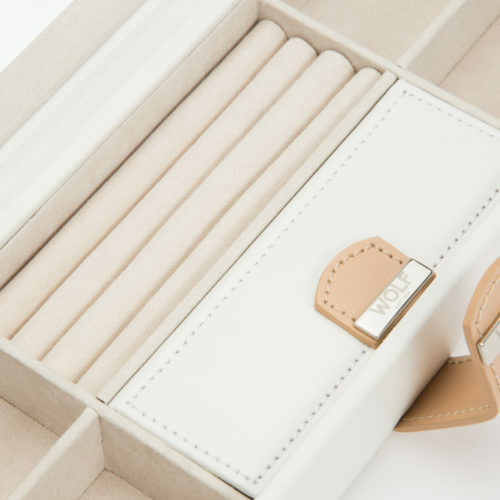 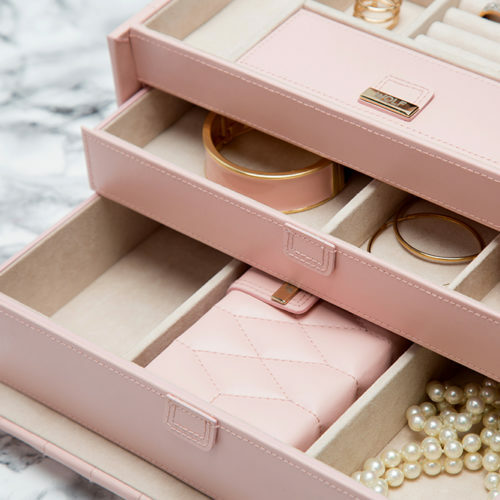 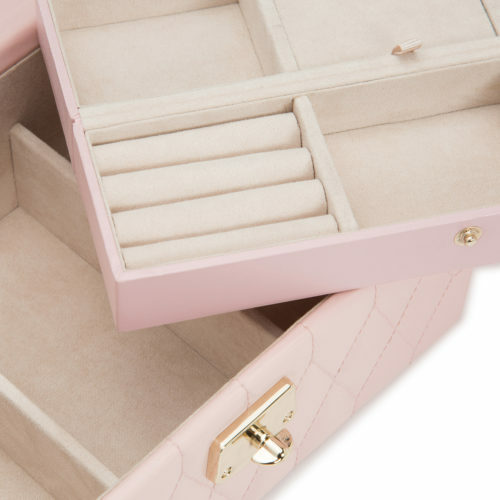 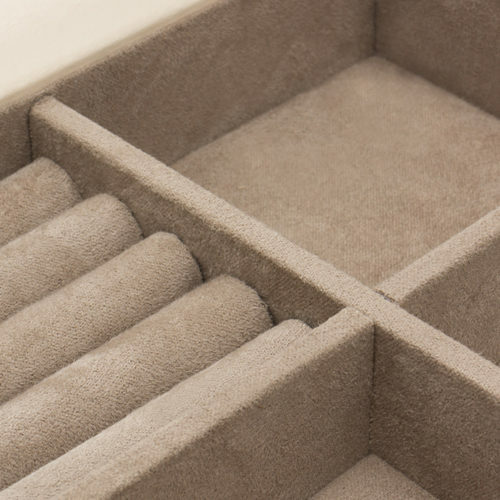 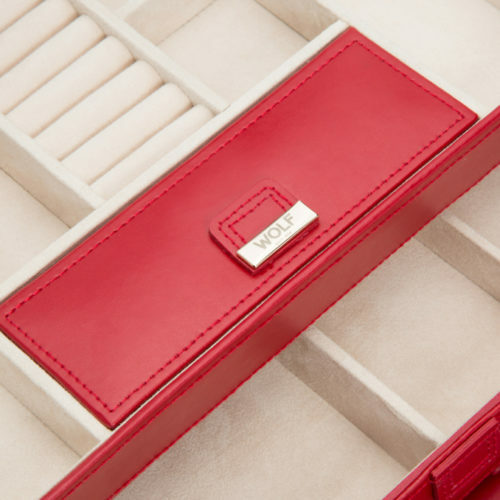 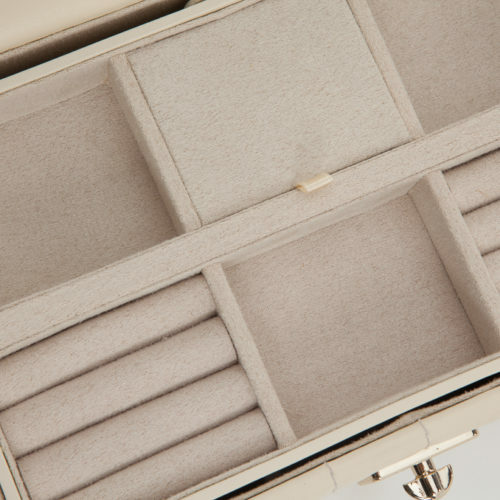 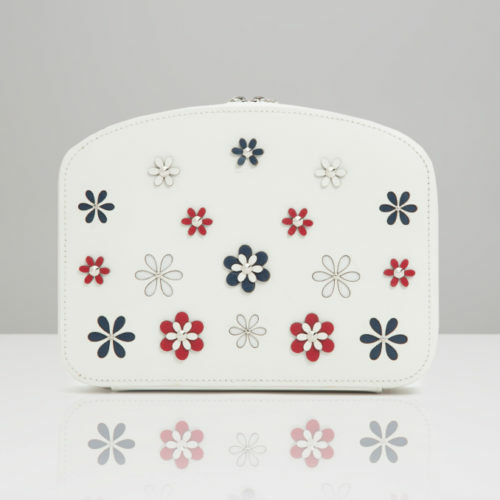 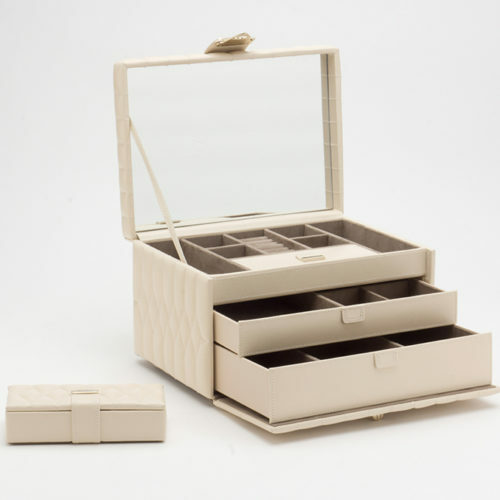 Discover our wide range of elegant jewellery storage solutions for home and travel. 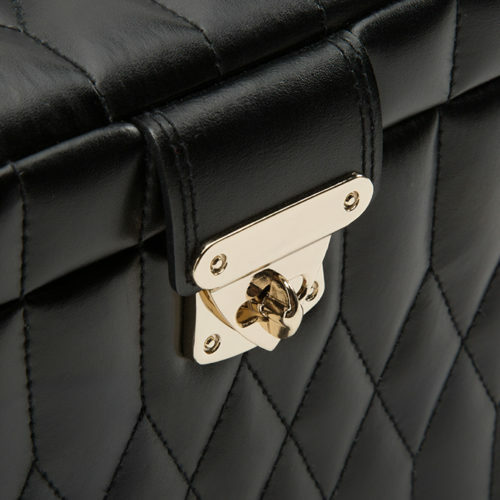 The Caroline is a signature WOLF jewellery portfolio, defined by its distinctive quilted exterior and classic shape. 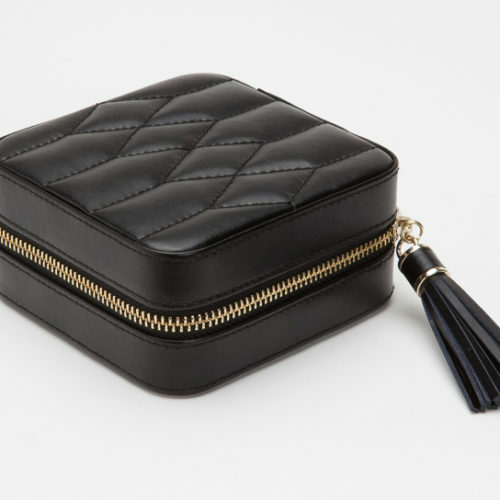 Includes quilted black leather, anti-tarnish LusterLoc™ lining, zip lock closure, gold finished fittings, leather tassel, 13 earring holes, 1 ring roll, 2 compartments and 4 necklace holders with pocket. 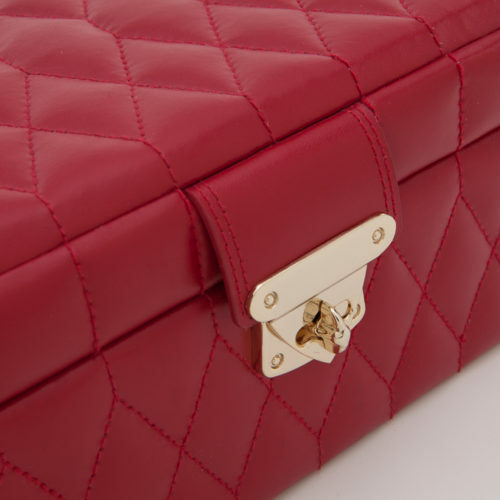 The Caroline is a signature WOLF jewellery portfolio, defined by its distinctive quilted exterior and classic shape. 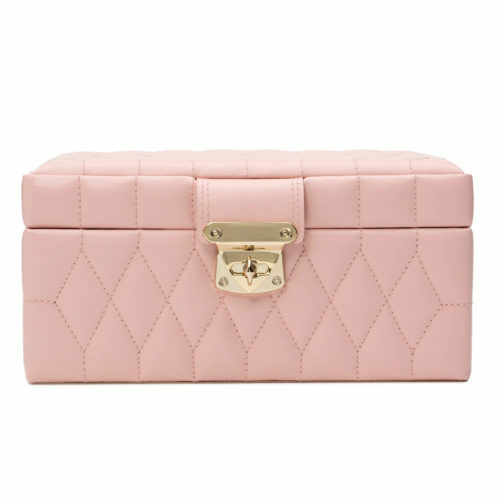 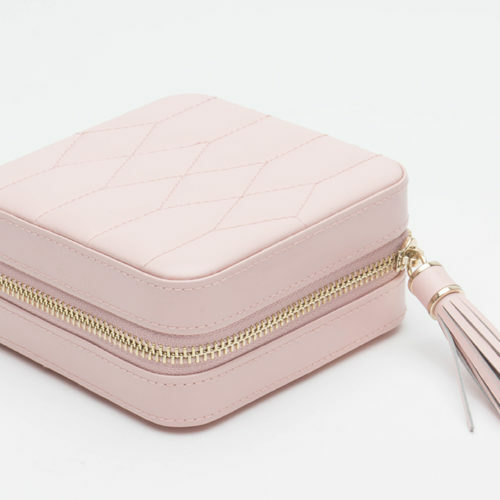 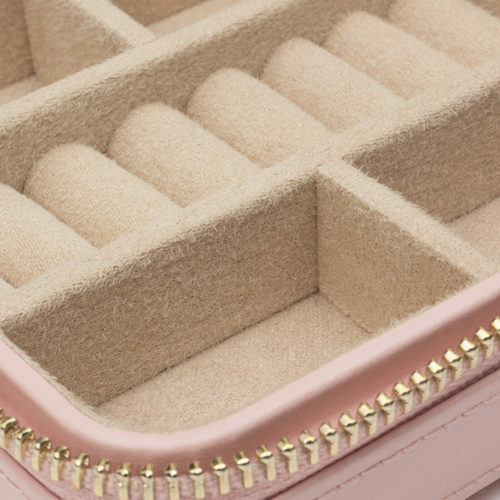 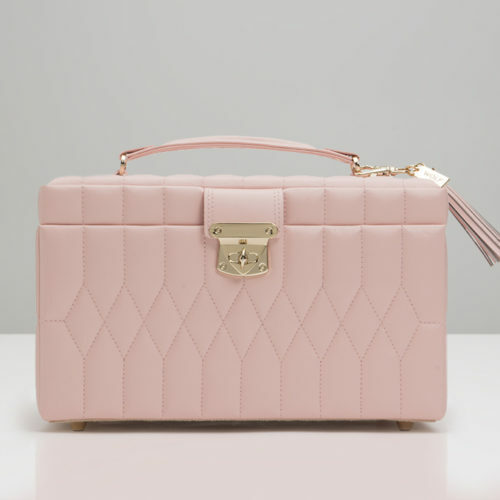 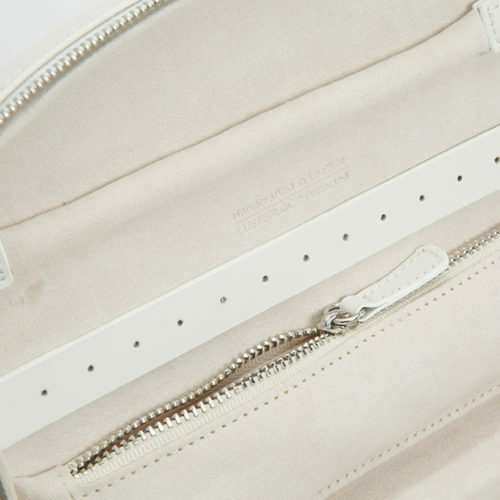 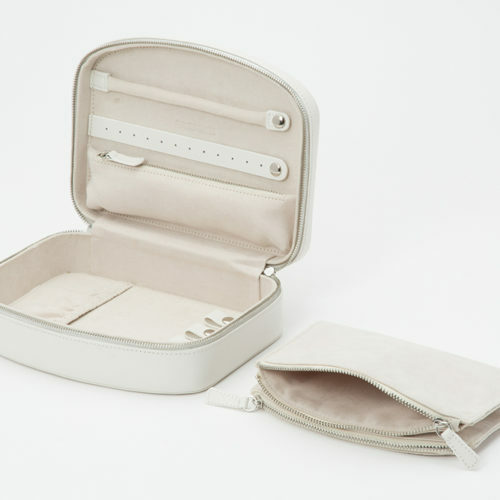 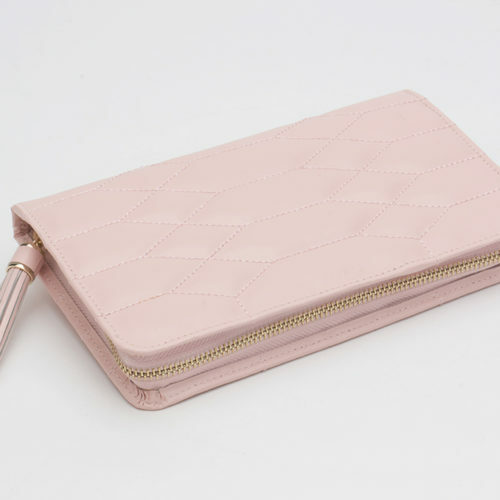 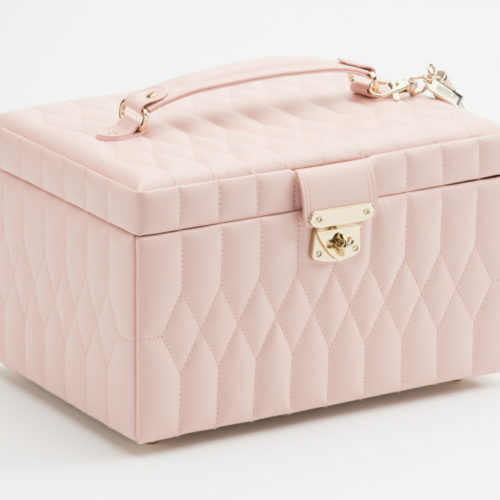 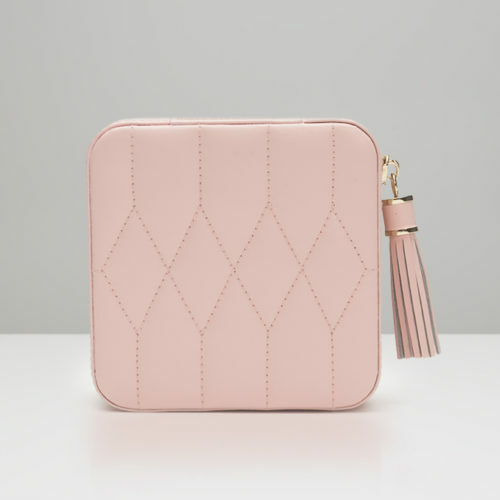 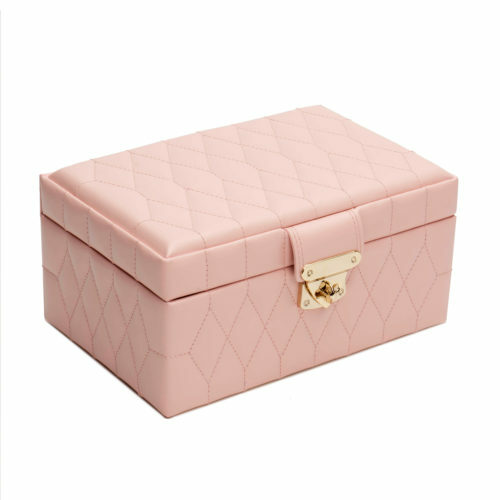 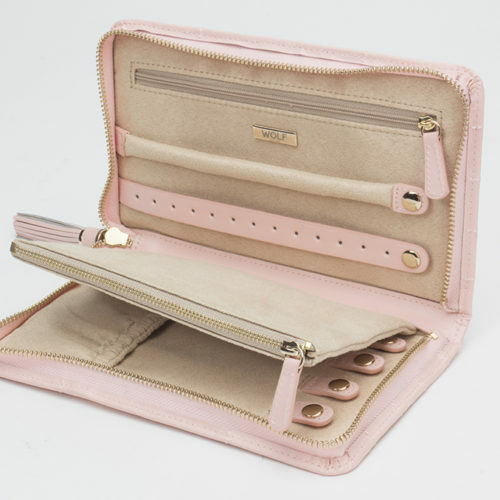 Includes quilted rose quartz leather, anti-tarnish LusterLoc™ lining, zip lock closure, gold finished fittings, leather tassel, 13 earring holes, 1 ring roll, 2 compartments and 4 necklace holders with pocket. 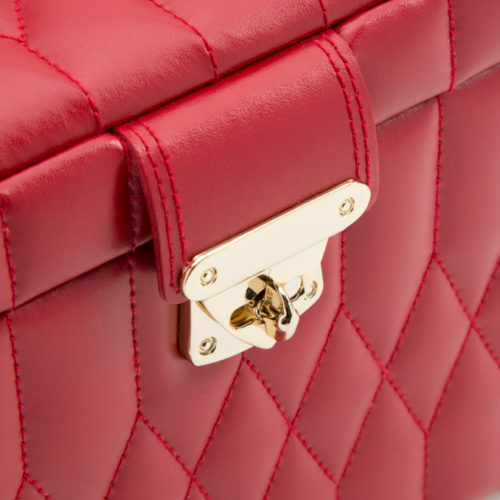 The Caroline is a signature WOLF jewellery portfolio, defined by its distinctive quilted exterior and classic shape. 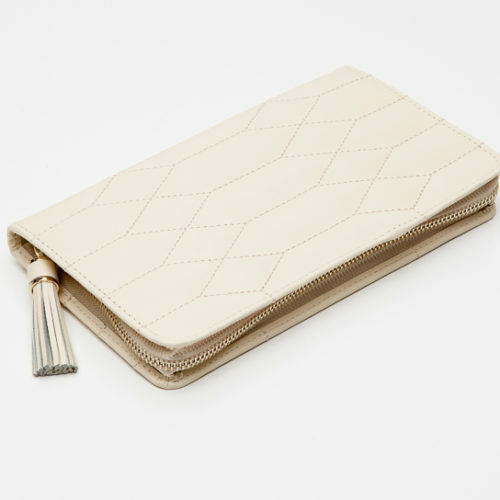 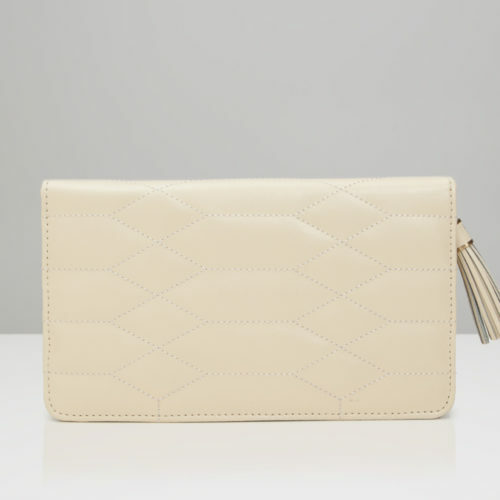 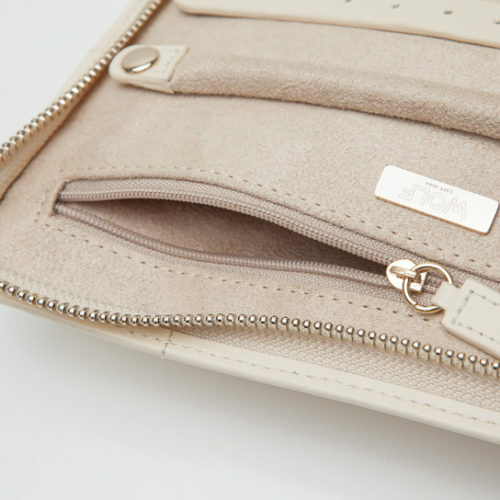 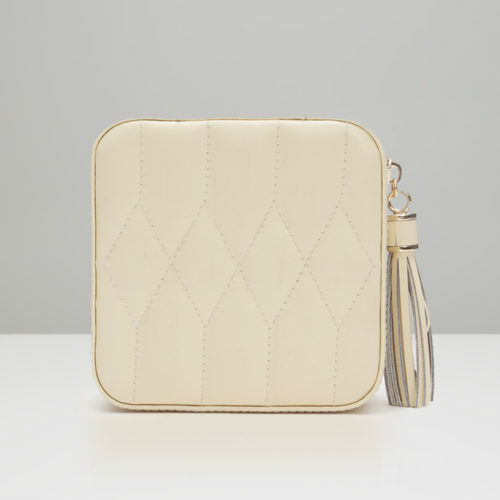 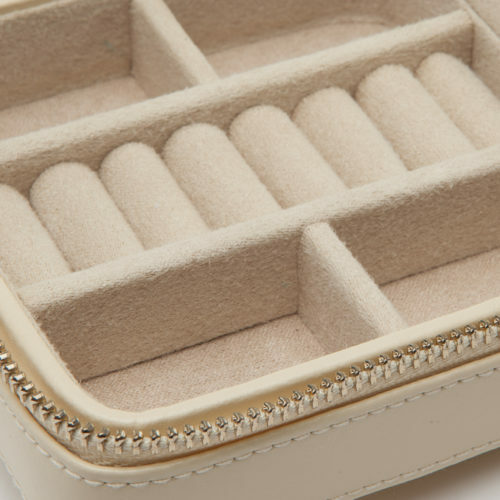 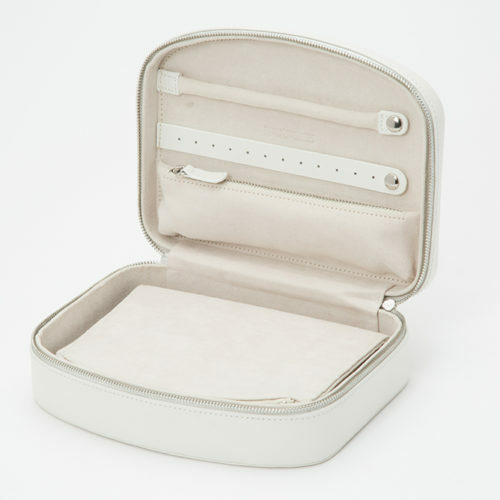 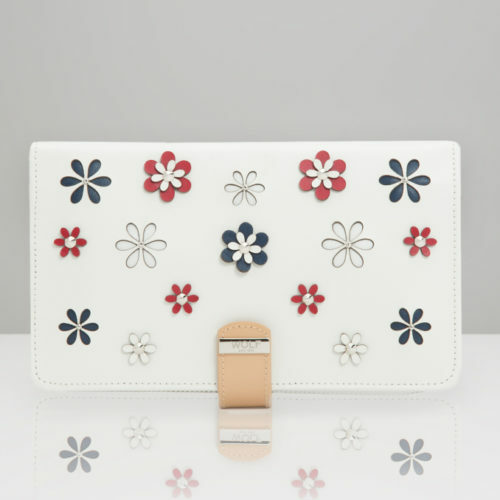 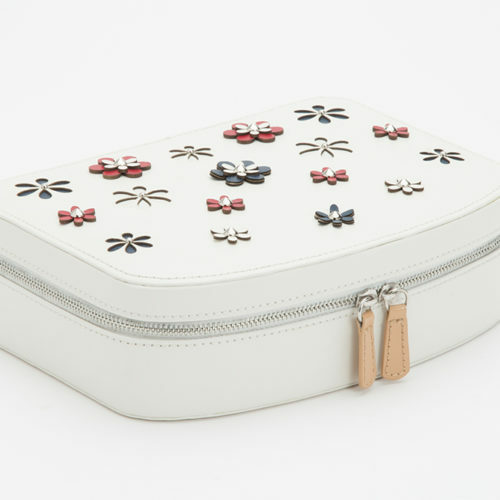 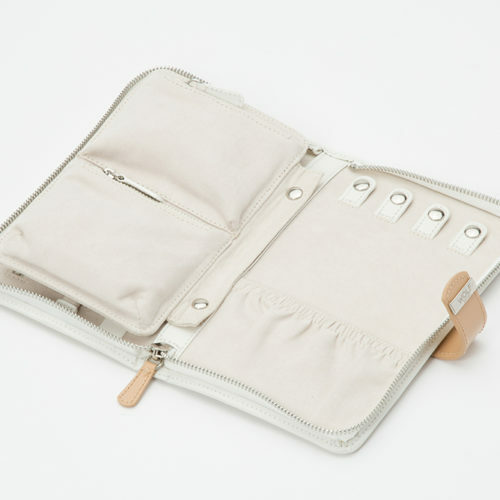 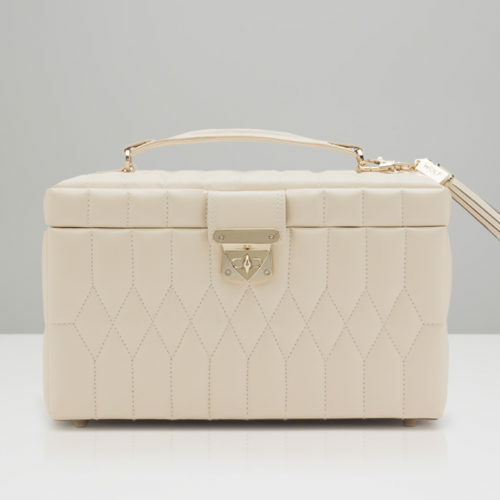 Includes quilted ivory leather, anti-tarnish LusterLoc™ lining, zip lock closure, gold finished fittings, leather tassel, 13 earring holes, 1 ring roll, 2 compartments and 4 necklace holders with pocket. 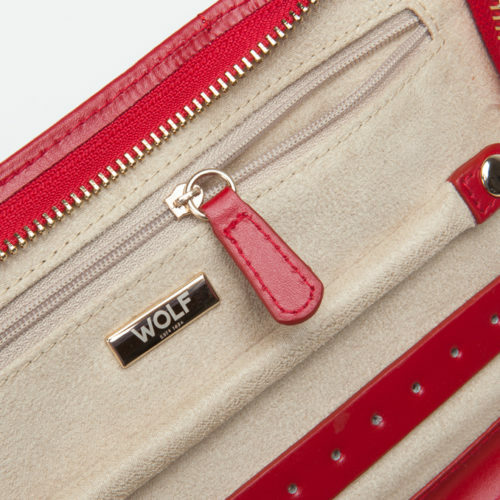 The Caroline is a signature WOLF jewellery portfolio, defined by its distinctive quilted exterior and classic shape. 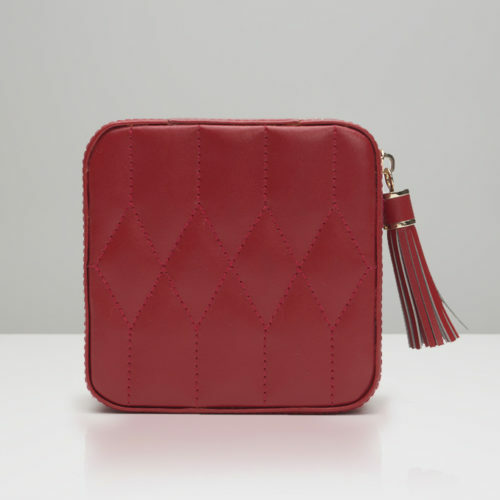 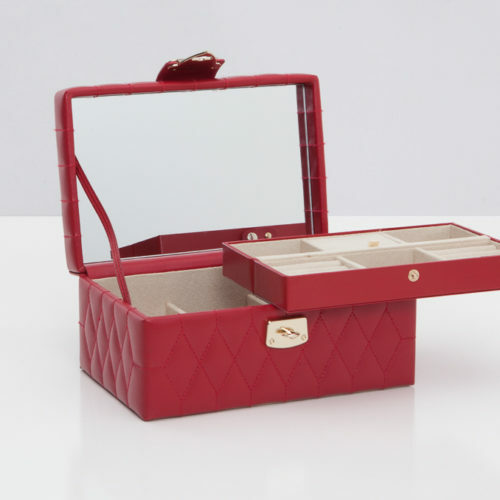 Includes quilted red leather, anti-tarnish LusterLoc™ lining, zip lock closure, gold finished fittings, leather tassel, 13 earring holes, 1 ring roll, 2 compartments and 4 necklace holders with pocket. 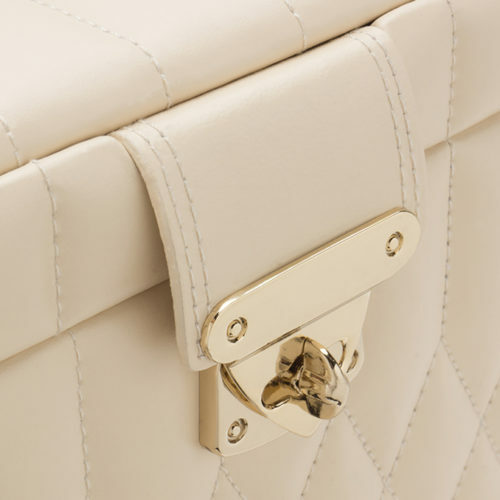 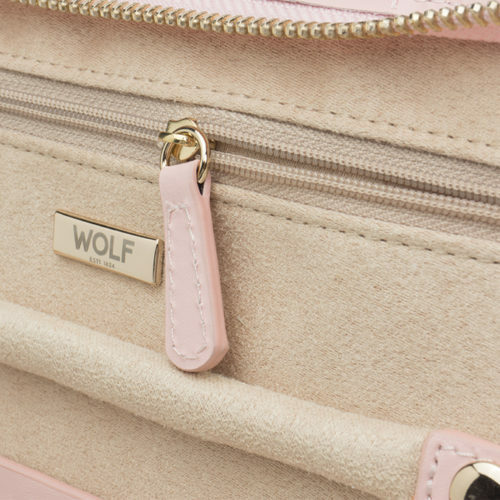 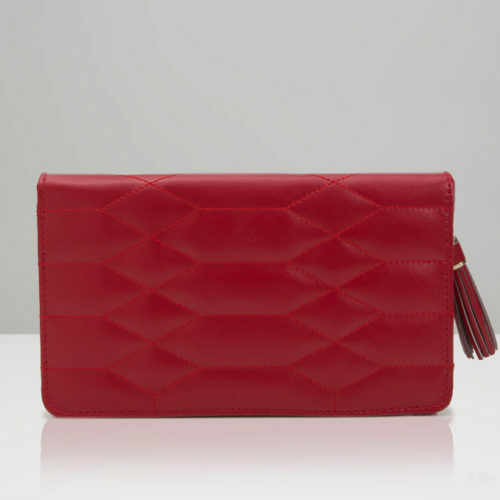 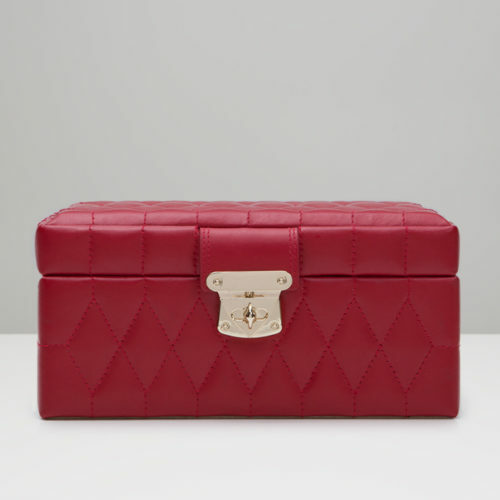 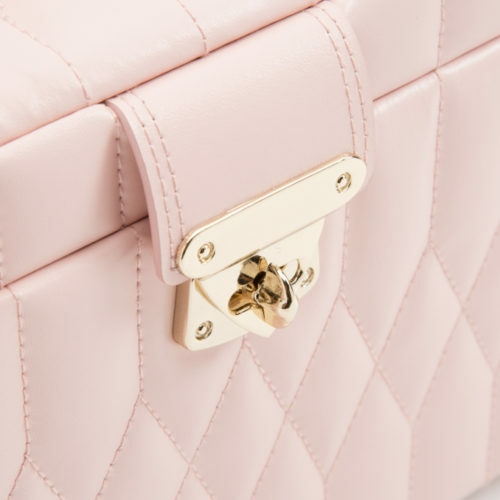 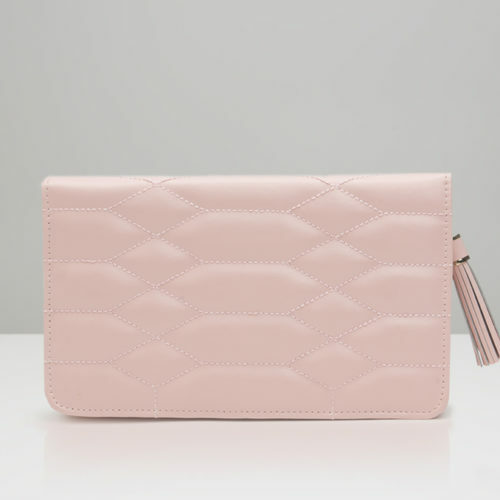 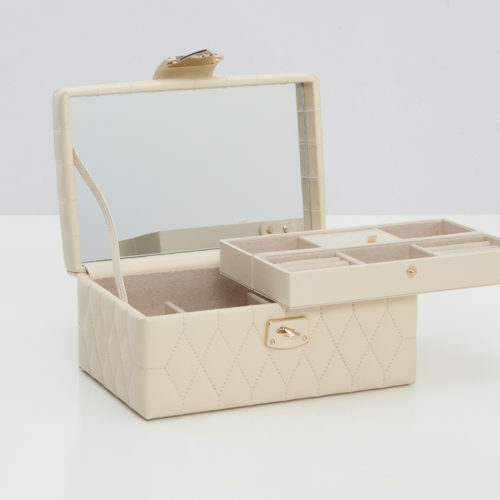 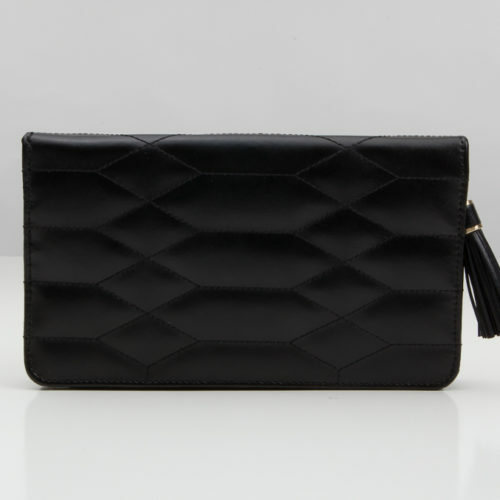 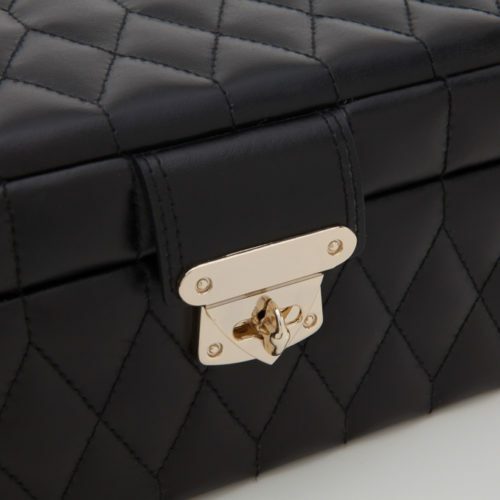 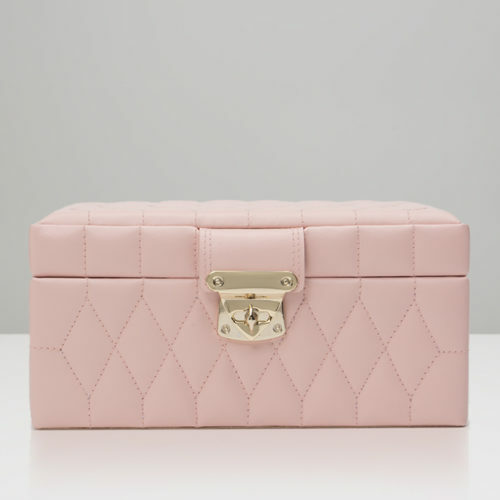 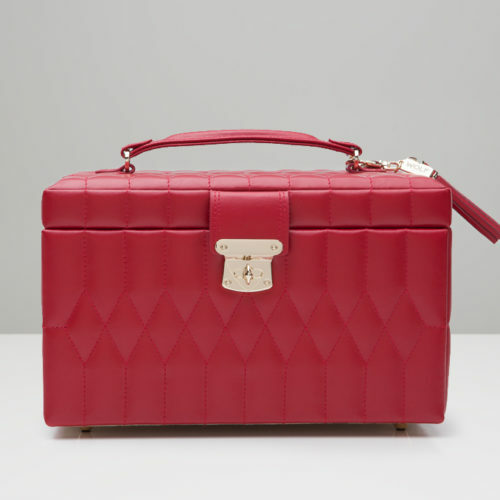 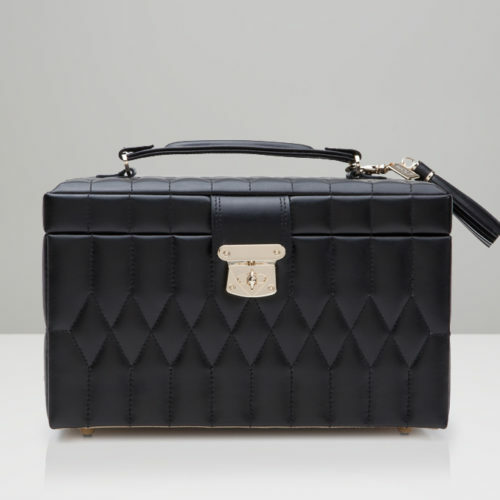 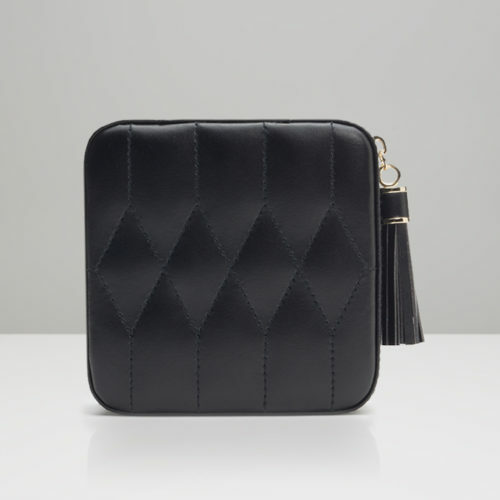 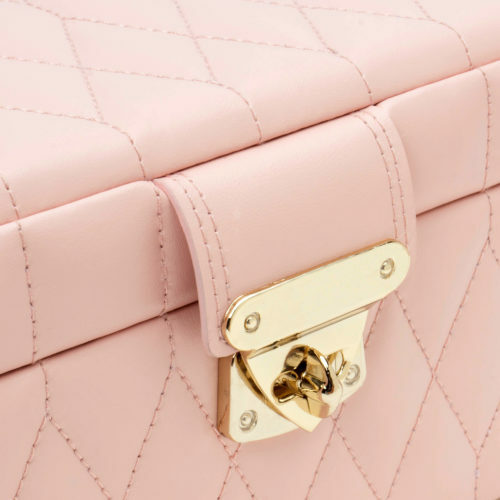 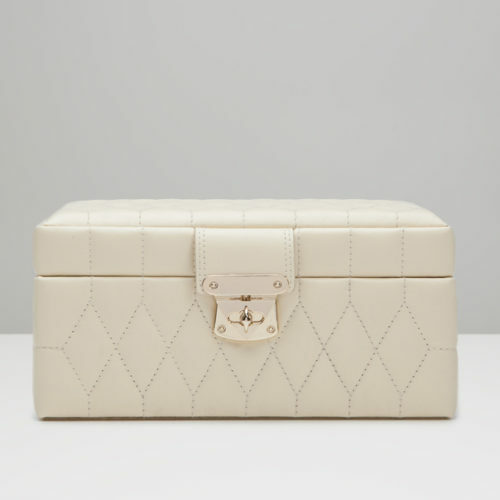 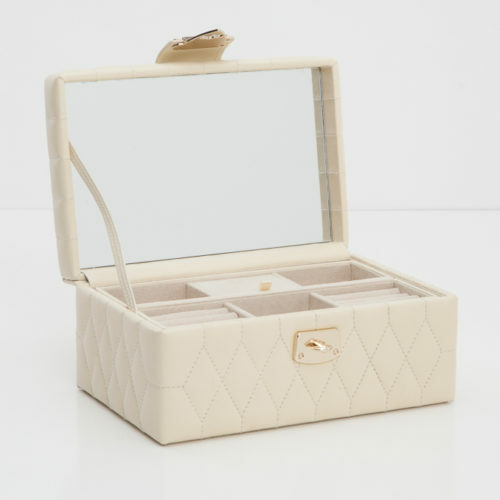 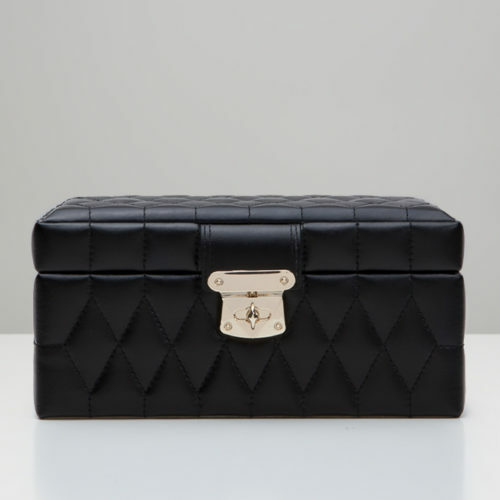 The Caroline is a signature WOLF jewellery case, defined by its distinctive quilted exterior and classic shape. 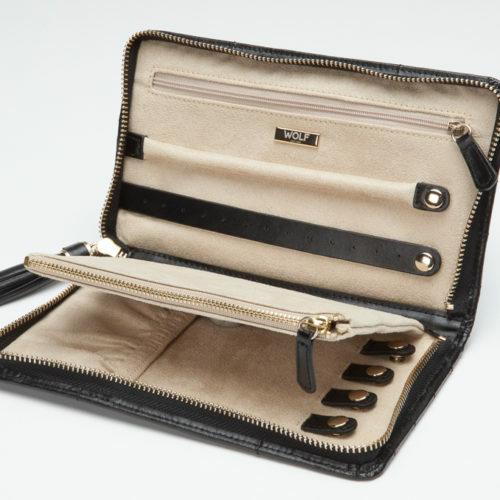 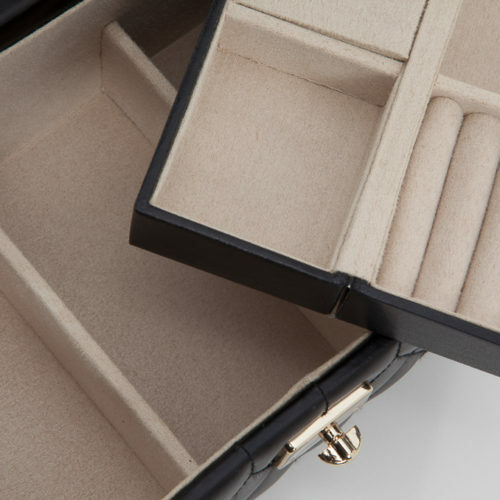 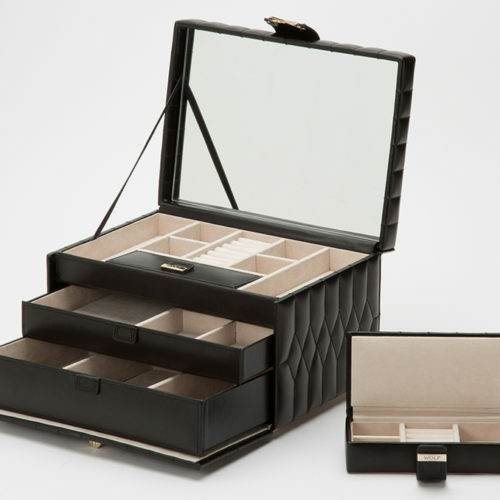 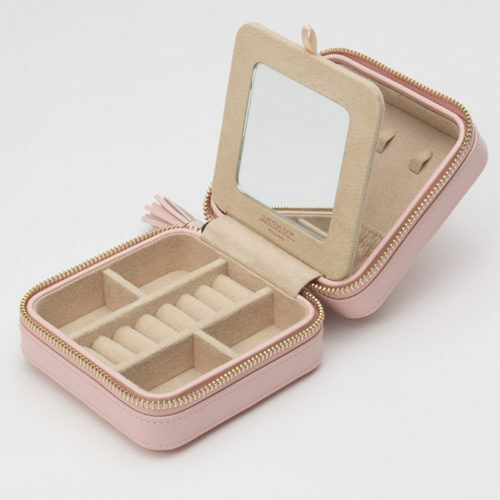 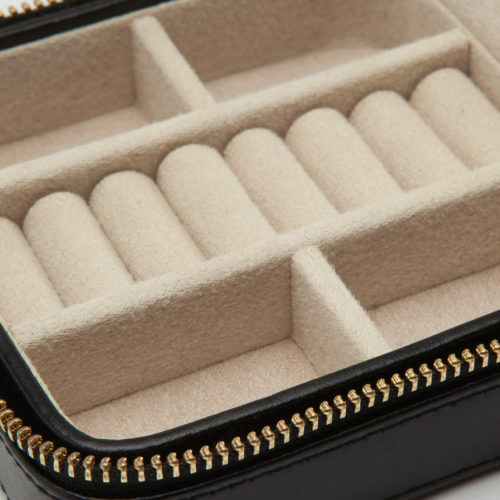 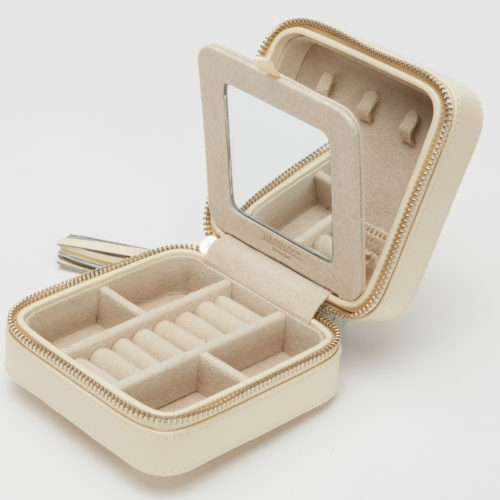 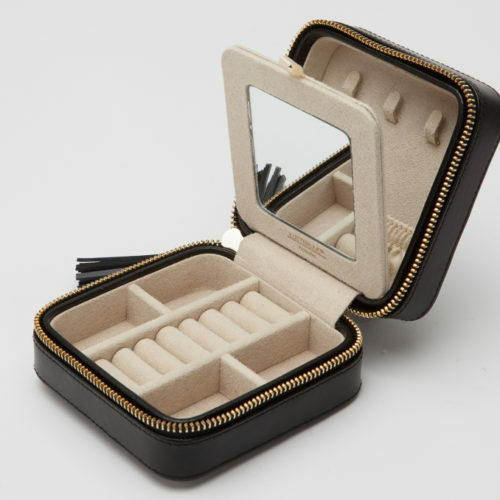 Includes quilted black leather, anti-tarnish LusterLoc™ lining, gold finished lock, glass mirror, 3 compartments and travel case with 4 compartments and 6 ring rolls. 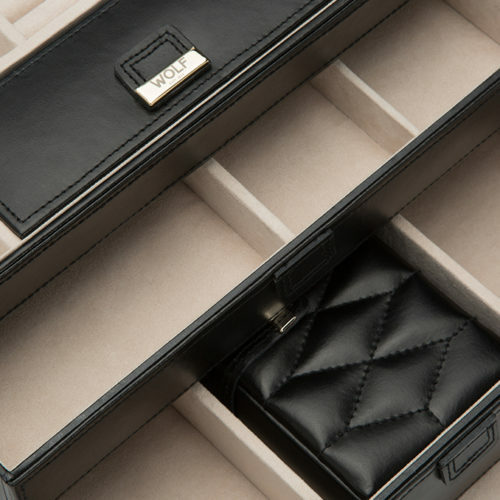 The Caroline is a signature WOLF jewellery case, defined by its distinctive quilted exterior and classic shape. 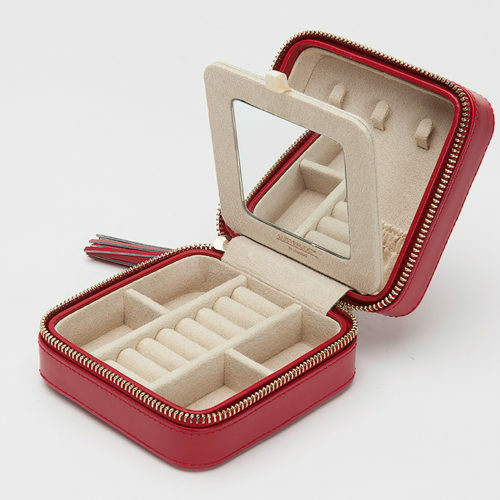 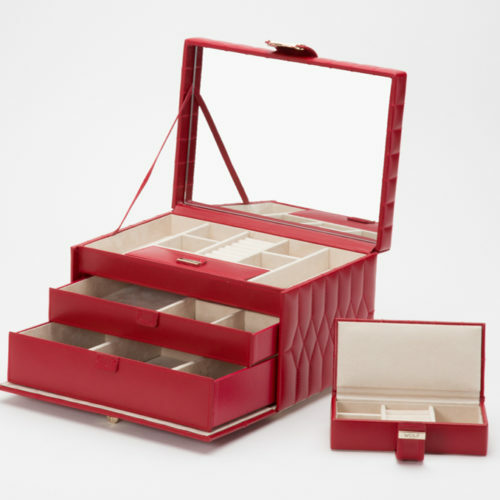 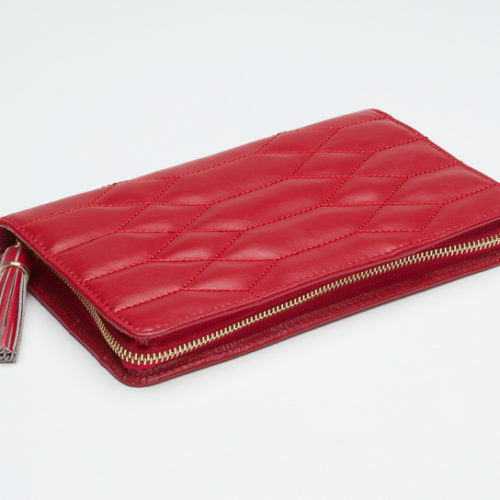 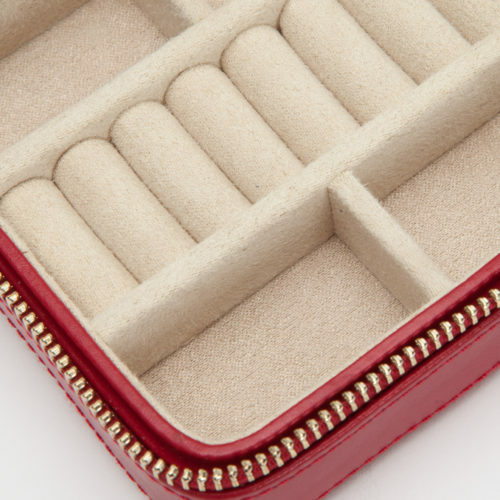 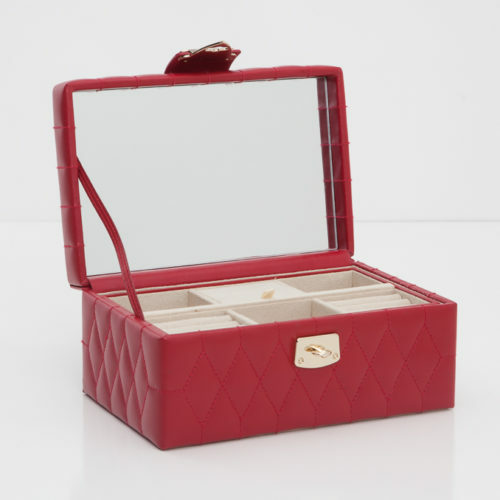 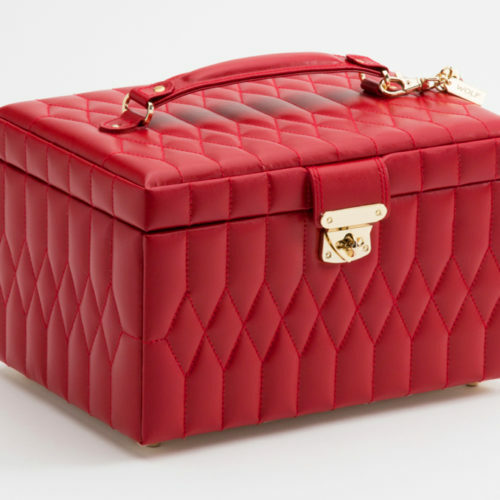 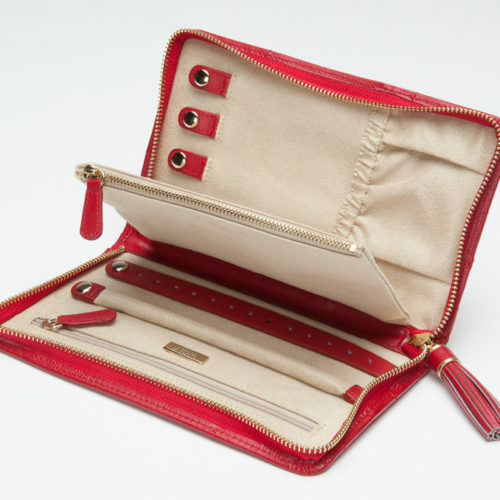 Includes quilted red leather, anti-tarnish LusterLoc™ lining, gold finished lock, glass mirror, 3 compartments and travel case with 4 compartments and 6 ring rolls. 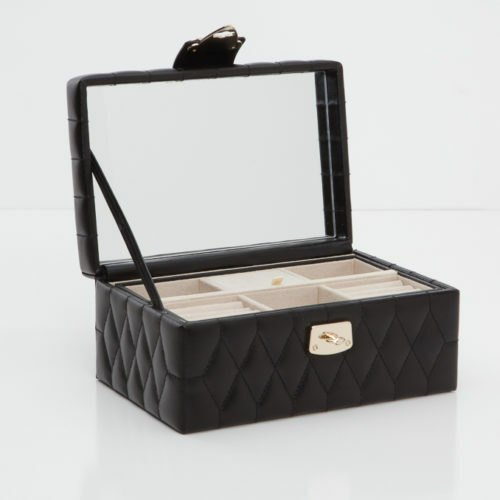 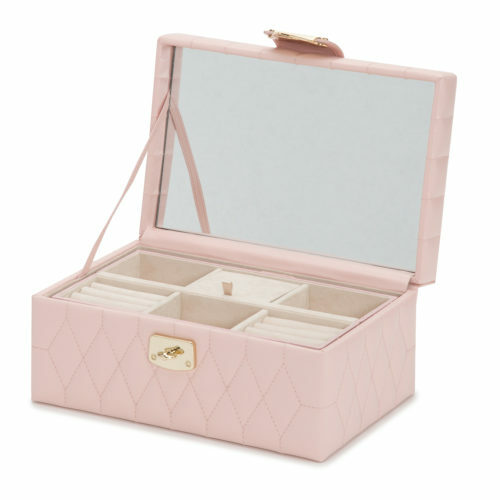 The Caroline is a signature WOLF jewelry case, defined by its distinctive quilted exterior and classic shape. 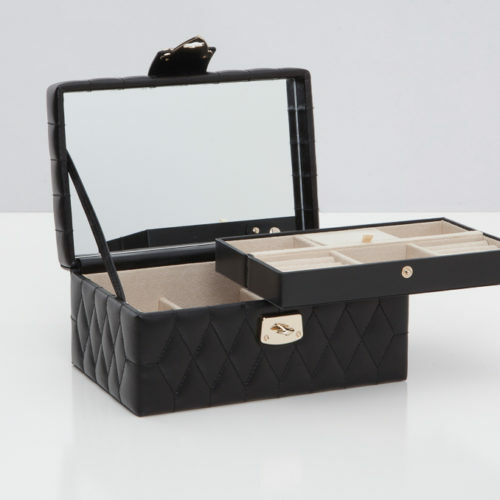 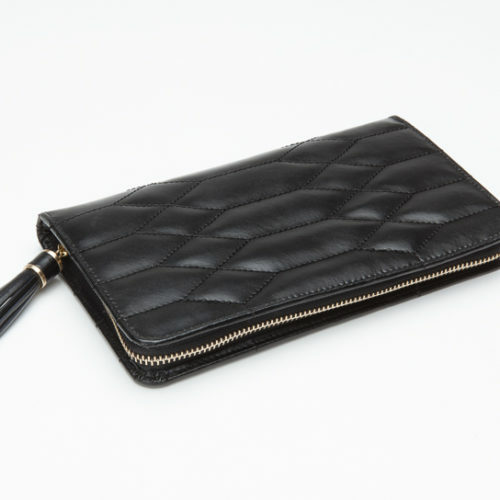 Includes quilted black leather, leather tassel keyring, anti-tarnish LusterLoc™ lining, gold finished lock, glass mirror, 15 compartments, 7 ring rolls and travel case with 3 compartments and 4 ring rolls.